The hype surrounding Singapore’s first ever Gudetama Cafe might have already blown over since its opening on 30 November 2016. 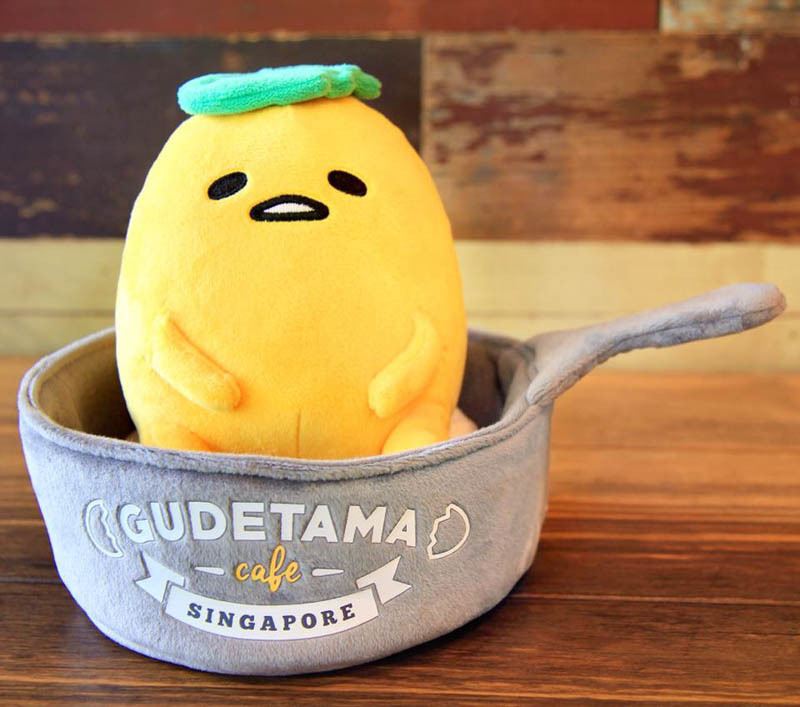 The themed cafe is now however, celebrating its Grand Opening on 15 January 2017 and is organising a series of activities that will reignite the excitement of all Gudetama fans in Singapore. For a start, those who attend the Grand Opening will get to purchase a limited edition Gudetama plush toy (pictured) at S$58.80. Do come early as there are only 500 of these plushies available and they will be sold from 12pm onwards on the day itself. If you want your picture taken with your favourite lazy egg, Gudetama Cafe is running a contest on their Instagram page. Winners will win photo passes which they can use on the Grand Opening day. Photo passes can also be won on 15 January through contests that will be held at the cafe from 11am to 2pm.